Frank­furt Book Fair atten­dees and online fol­low­ers tracked the book’s progress as it was con­cep­tu­al­ized, writ­ten and assem­bled over the course of 72 hours by a small team using sim­ple tech­no­log­i­cal tools–upending the pub­lish­ing industry’s tra­di­tional time- and resource-intensive mod­els for writ­ing and pub­li­ca­tion. The Intel Labs proof-of-concept enables even small teams of authors and editors to create entirely new types of reading experiences quickly and easily. In addi­tion to pieces from a core team of authors, the book includes a crowd­sourced ele­ment, incor­po­rat­ing text, images and video con­tri­bu­tions from Frank­furt Book Fair atten­dees as well as a global net­work of con­trib­u­tors. 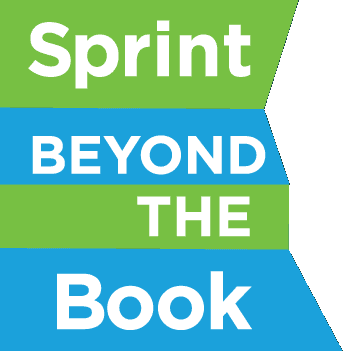 Sprint Beyond the Book is complete, but we still want to hear your thoughts on the future of publishing. Sub­mit your own text, images and video now! How will peo­ple read in the future? How will peo­ple find new books to read in the future? How will books be pro­duced in the future? How will books be edited in the future? How will the con­cept of the book evolve in the future? In what new ways will authors engage with their readers? Our col­lab­o­ra­tive team built an inno­v­a­tive, mul­ti­me­dia struc­ture for the book on the fly – you can read the main text on this site, but be sure to down­load the reader to get the full multimedia experience, complete with video, images and crowdsourced writing from participants all over the world! Ed Finn, direc­tor of the Cen­ter for Sci­ence and the Imag­i­na­tion at Ari­zona State Uni­ver­sity, led a core team of fic­tion writ­ers, jour­nal­ists, schol­ars, tech­nol­o­gists and pub­lish­ing professionals. The project hosted pub­lic dialogs with the team throughout the Frank­furt Book Fair, focus­ing on their vision for the book, the process of writ­ing, the chal­lenges they faced and what they learned about the future of pub­lish­ing. This website also functioned as a hub for project updates, videos and other media con­tent doc­u­ment­ing the book sprint.